What Is Bridge-To-Production Low Volume Manufacturing? Bridge manufacturing, or bridge-to-production low volume manufacturing, takes 3D printing and additive manufacturing to the next level by giving businesses an opportunity they would not have otherwise had in the marketplace. 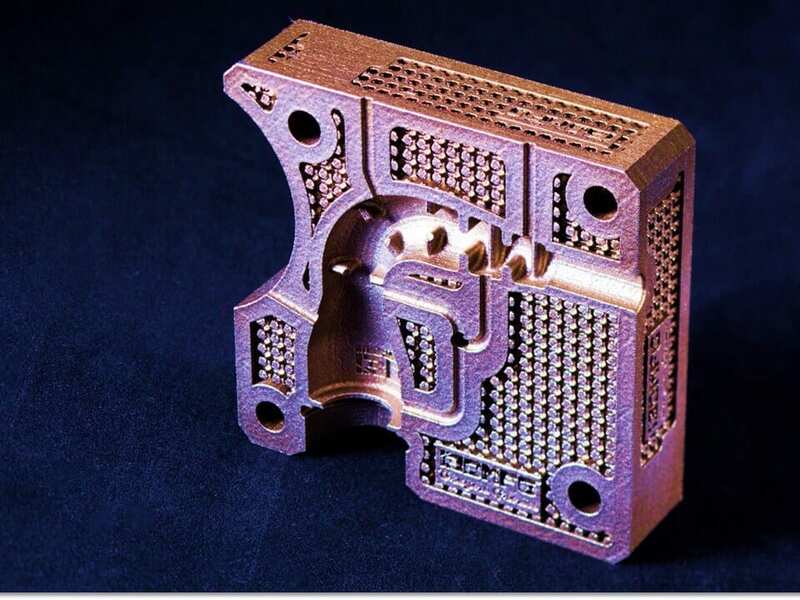 As a DMLS manufacturer, i3D MFG™ works closely with its clients on surface finish requirements, a commonly misunderstood piece of 3D metal printing. 3D metal parts are nearly 100% dense, allowing for any post process associated with machined or cast parts; however, clients often expect parts to come straight off the DMLS machine with near mirror polish. The reality is that the initial surface finish for a DMLS part before post process ranges form 125-300 Ra depending on the metal. 4WEB’s spinal implant leaves the rough surface which enhances the effectiveness of the implant. This is a huge shift in how we think about design, incorporating roughness as an innovative tool. Not all applications will achieve this type of synergy between the raw DMLS part and function, but as we shift towards design-for-3D, it’s worth taking note of the match between DMLS and medical implant advancements. Additive manufacturing using maraging steel offers reductions in traditional manufacturing material consumption, labor and machine time. Maraging Steel, or Tool Steel is commonly used in the prosthetics industry because of its durability and strength. Those same material qualities also make it expensive to machine because of the wear and tear it puts on CNC and milling equipment. 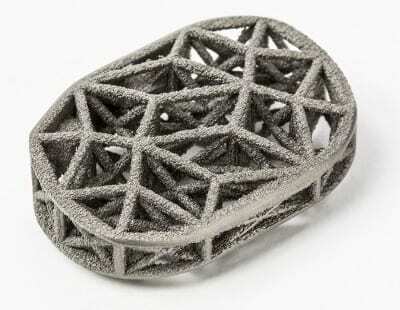 Direct Metal Laser Sintering (DMLS), a 3D metal printing process dramatically reduces the time and expense associated with maraging steel manufacturing. For the prosthetics industry, this makes intricate designs cost effective and, in some cases, makes impossible machined parts manufacturable. DMLS lasers micro layers of metal powder together at tolerances between +/-.002 and +/-.005 at densities nearing 100%. The process is perfect for small batch production and the functional parts can be post processed in the same manner as machined or cast parts. After heat treatment DMLS maraging steel typically has a 50-53 HRC; therefore, post process prior to heat treat is often preferred. Additive manufacturing eliminates traditional design-for-manufacturing constraints and allows limitless design-for-3D part production. Prosthetics designs often involve multi-part assemblies and complex geometries all geared towards maximum mobility. Like the human body, organic shapes and streamlined part interaction make for better motion. DMLS can print assemblies as single parts, eliminating gaskets, weld lines, and seams that are often failure points or add labor costs to production. 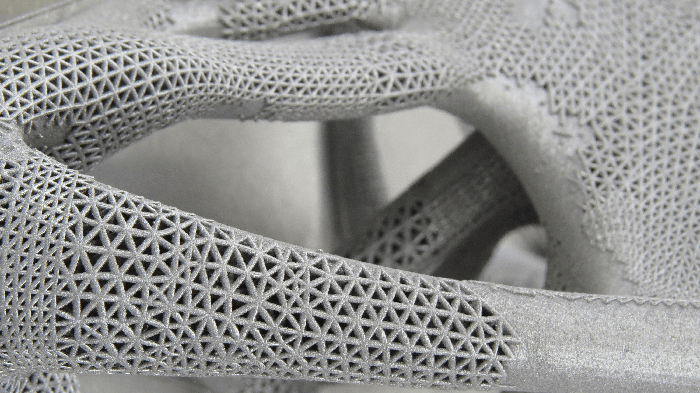 3D metal manufacturing also enables conformal micro channels to be built into parts and lattice structures to be manufactured for weight reduction. Because multiple 3D CAD files can be run on the same build, custom parts tailored to specific patient requirements can be built simultaneously, reducing NRE and tooling costs. 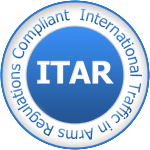 i3D™ Manufacturing specializes in 3D metal additive manufacturing in Maraging Steel, Stainless Steel (17-4 and 15-5), Titanium, Aluminum, and Inconel.